Orisys Infotech provides bespoke and web based car rental software development service as per the the requirement of car rental companies. Our customize car rental solution is best match to the requirement of car rental agencies to make their rental service full of fun and easy to manage. One of the most versatile solutions for car hire companies want to provide quickest and optimum service to their customers. Dashboard with professional with appealing look & feel. Let your customers book their cars from any part of the globe. Save time and effort of both your customers and you. 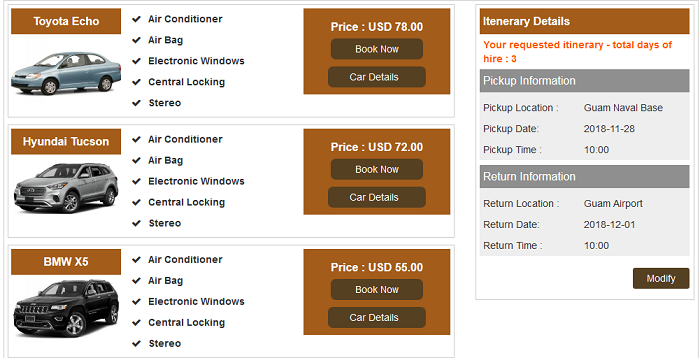 Enhance efficiency by managing cars and bookings effectively. Plot. No. 740/3108 New Airport Road, Unit-6 Bhubaneswar - 751020 , Odisha, India. Edinburgh - EH14 1QQ, (UK) . © 2019 Orisys Infotech. All Rights Reserved.